Statement earrings were a big trend on the designer runways this season. And, no wonder. You can add a pair to a little black dress and, hey presto, you’re party ready. 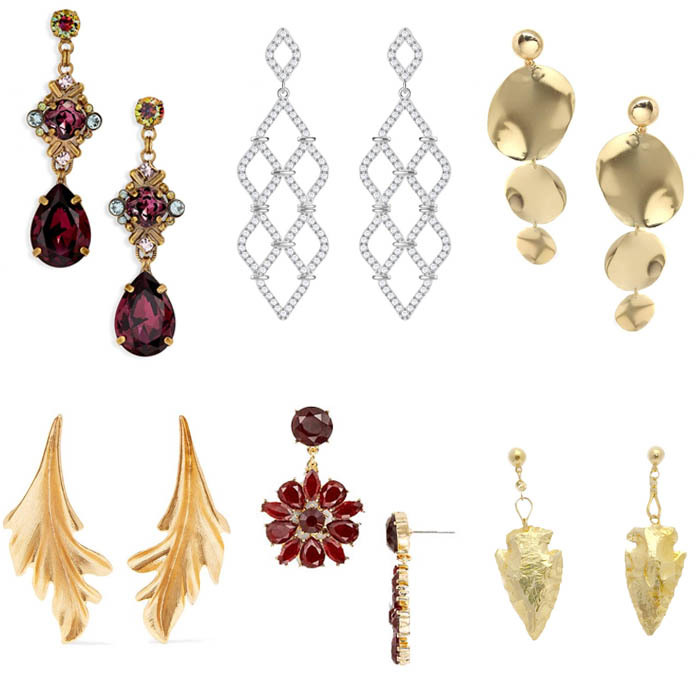 Designers decided to add some serious bling for fall and winter, and showcased oversized chandelier earrings. While some, like those from Tom Ford, look so huge I’m not sure my earlobes could cope, others from the likes of Badgley Mischka and Brandon Maxwell were much more wearable. 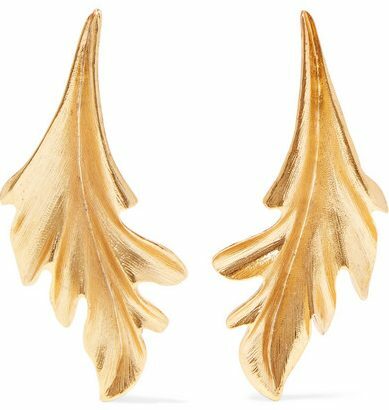 Statement earrings can update an outfit you’ve had in your closet for years. Wearing statement earrings can also draw attention up to your face. So, if you aren’t too keen on parts of your body such as your tummy, you can put the focus elsewhere. While I can’t stand to wear statement earrings for day-to-day as they become uncomfortable after a while, you can probably wear earrings that are a little heavier for an evening event as they won’t be in your ears for as long. You don’t want your earrings getting tangled in your hair. If you have long hair, you may want to pull it back or think about an up-do. Here are some of the best statement earrings in stores now. Crystal earrings don’t simply have to be in a diamond-type color. 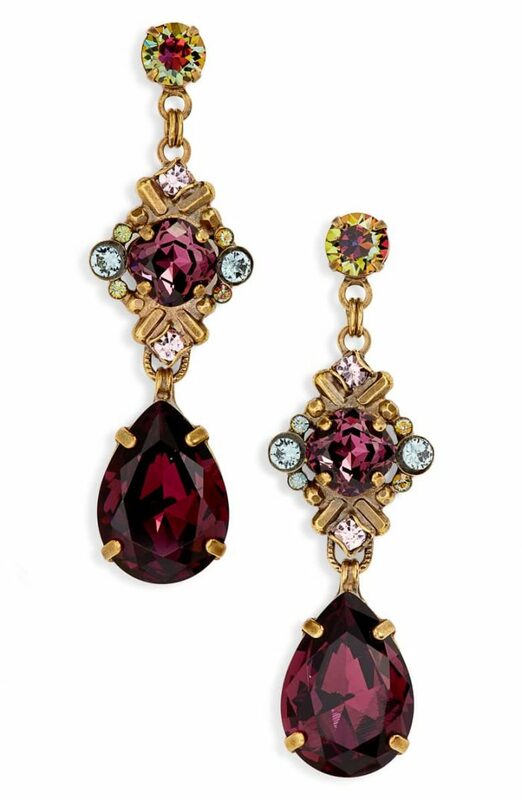 You could opt for other rich jewel hues such as this vintage-inspired drop style by Sorrelli. 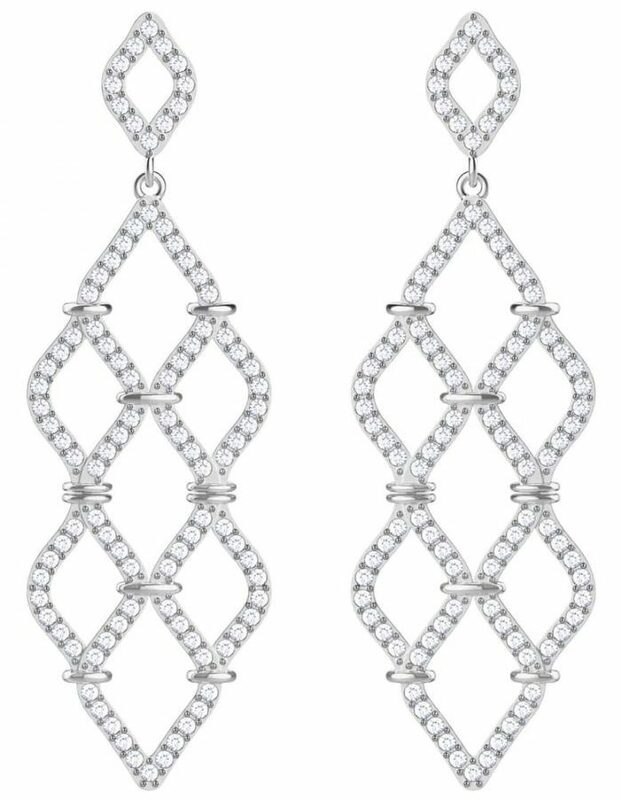 If you would like to invest in a classic pair of crystal drop earrings that you will wear year upon year, these lace-effect crystal chandelier earrings from Swarovski are a timeless option. They would look beautiful with a black or navy outfit. 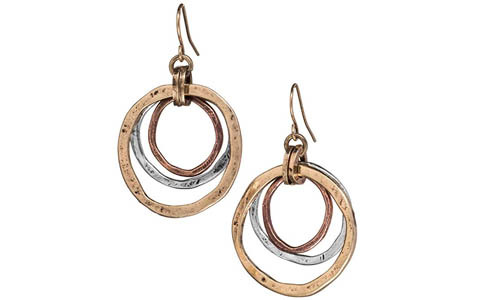 I love the sculptural nature of these disc drop earrings by Ettika. If you would class your style as minimalist, you may find a style like this is a better match for the pieces you have in your closet than a pair of earrings which have more sparkle and bling. 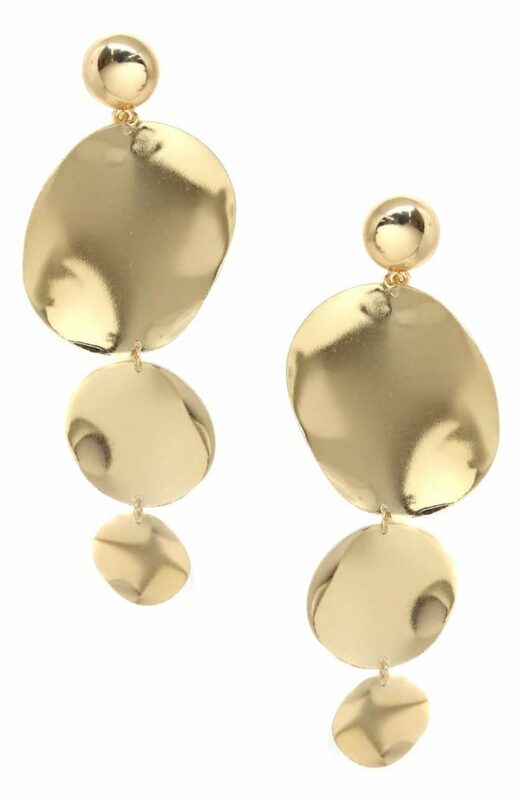 Tassell earrings were a huge trend during the summer. They looked beautiful worn with casual button-down dresses. 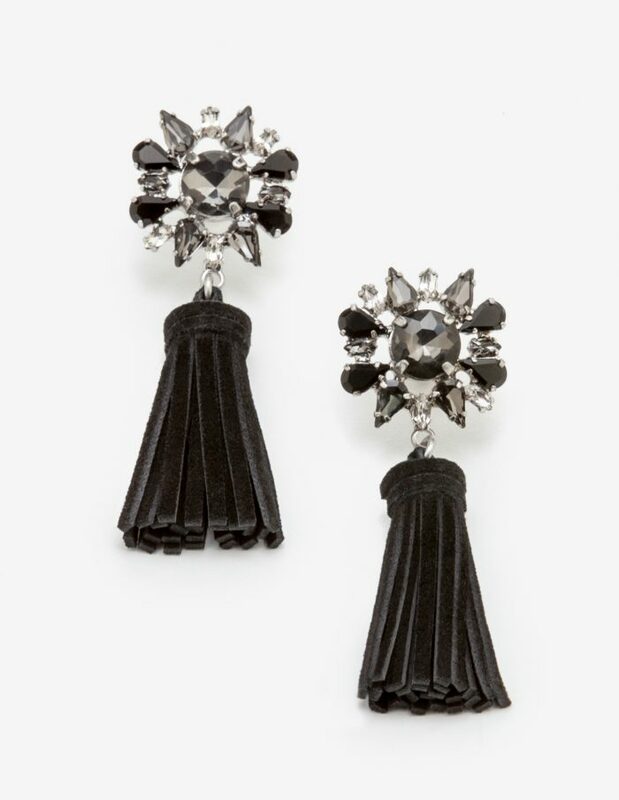 Here, Boden has updated the tassell earring for festive parties with the addition of black and silver gems. BaubleBar is a celebrity favorite which has been worn by everyone from Meghan Markle to Reese Witherspoon. But, despite being worn by A-listers, it is a brand which does offer affordable options. 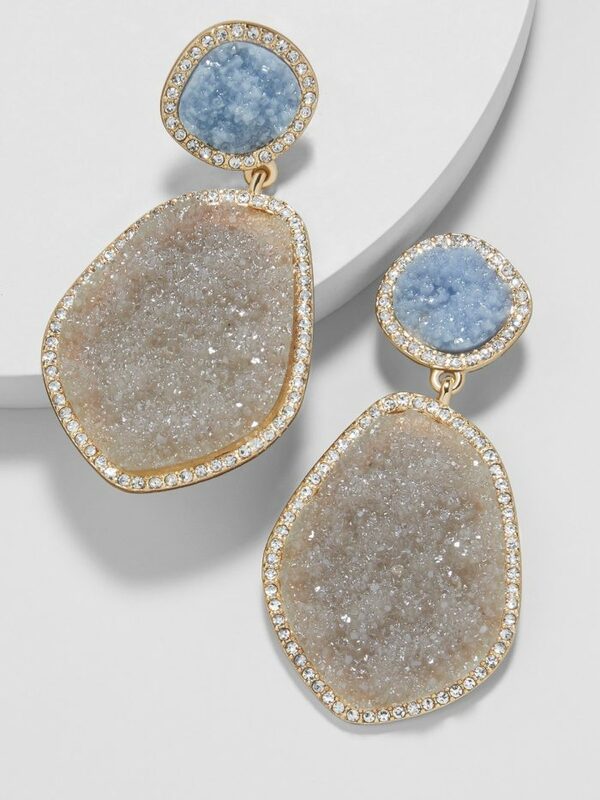 I love the fact that the Vina Druzy drop earring design here offers a color surprise as pastel shades are usually thought to be a summer staple. I can see these pairing with everything from navy to gray, and then I would wear them with white when the weather warms up. You don’t need to opt for a big brand to make a big impact. It’s always nice to support smaller, artisan craftspeople. This earrings design by Cape Cod designer Judith Stiles is inspired by the sunrise over the ocean. The earrings match the statement necklace featured in this piece on the best gift ideas for women over 40. Etsy is a great option for jewelry because you can find smaller artisan designers creating beautiful, limited edition pieces, so you can be pretty certain no one else will be wearing the same earrings at your festive parties. 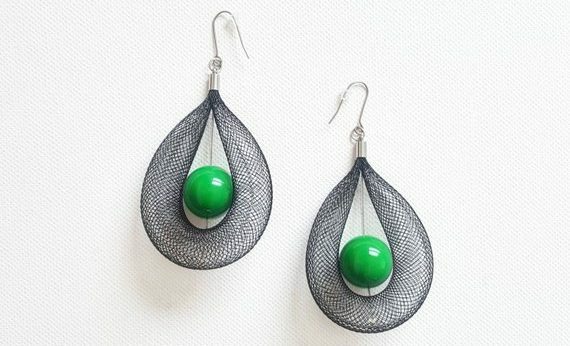 I love the pop of green in this pair of drop earrings by one of my favorite Etsy stores for jewelry; Pevalak Art. The Poinsettia is a symbol of the holiday season. So, there couldn’t be a better flower to wear on your earrings than this festive bloom. 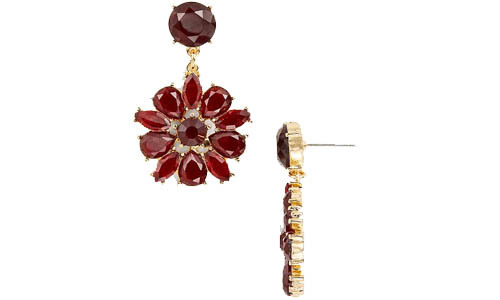 These garnet-colored poinsettia earrings are a subtle nod to the festive season. But you could definitely wear them to formal events during the rest of the year too. 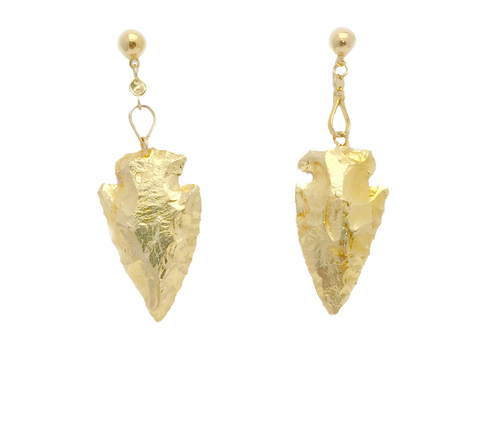 These gold plated arrowhead stones are natural so they vary in size, but you’ll be sure that yours will be totally unique. Designed by Nissa Jewelry, they’ve sold out a few times already, and I can see why. They manage to be unusual yet classic, and could work well with a party dress, or a white shirt and jeans. If you really wanted to, and could find enough change behind the sofa cushions, you could spend $70,000 on a pair of diamond-drop earrings at Net a Porter. But, there are also some much more affordable options. While this pair by Oscar de la Renta are still $190, it does give you the opportunity own a beautiful designer piece that will definitely transcend seasons. Perhaps you could pop them on your Christmas list. Plus leaves were a major accessories trend this fall. 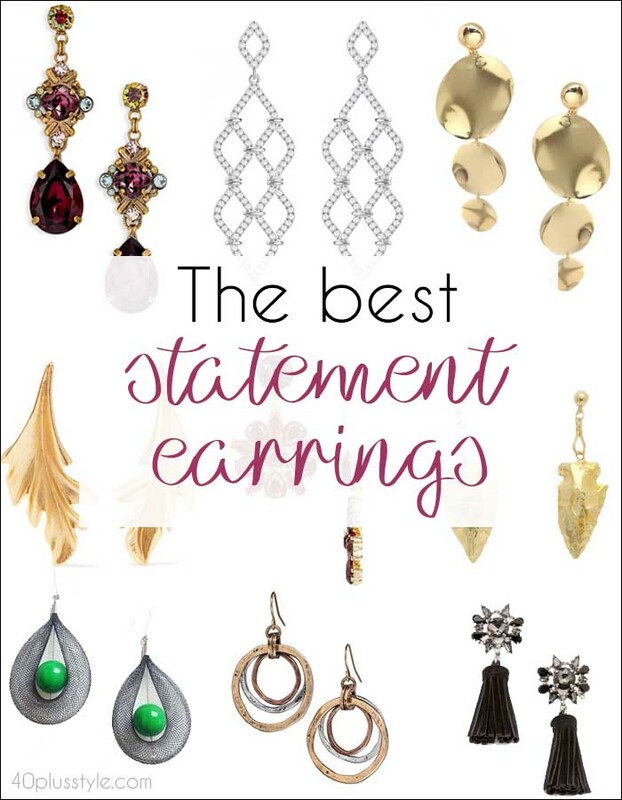 Do you wear statement earrings? Do you wear your statement earrings for day, or do you save them for eveningwear? Fabulous choices! I love statement earrings!